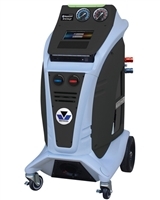 Air conditioning units are some of the most neglected components that automotive technicians see on a daily basis. Diagnosing those A/C problems can be difficult without the proper equipment on hand. That’s where Best Buy Auto Equipment can help. 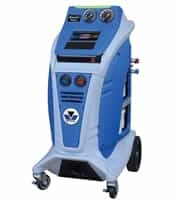 We offer a wide selection of Mastercool AC machines that can help you and your team make quick work of leaking refrigerant, weak airflow, and other troubleshooting tasks. Mastercool is a family-owned and operated company that has led the professional air conditioning industry for over 35 years. Every A/C machine they manufacture is designed to make recovery, recycling, and recharging drained systems as easy as possible. Mastercool’s refrigerant identifiers provide an efficient and versatile method of validating refrigerant purity during service. The 691234YF Ultima ID 1234yf kit is completely portable and features a large LCD display for quickly and accurately running diagnostics. We offer a number of portable equipment options for garages that run on limited space. 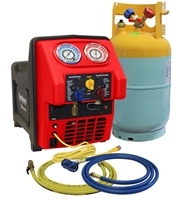 Mastercool’s 69000 and 69110 A/C recovery units are both compact, lightweight, and compatible with all refrigerants. Need an all-in-one solution for your shop? 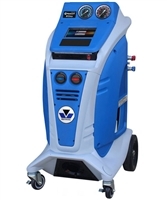 We have all your needs covered in our selection of Mastercool AC machines. Each of these units can efficiently recover, recycle, and recharge. Mastercool’s ARCTIC COMMANDER machines come fully equipped with the latest technology, including a touch screen command center to enable navigation through all of the functions and features with ease. Keeping the busy technician in mind, these all-inclusive systems even come with onboard conversion calculators and self-diagnostic check tools to make every inspection a snap. Whether you are looking for a semi-automatic solution or a fully automatic solution, we can help you find the perfect solution for your shop. We also offer interest-free financing options and free shipping on select products! You can even submit your business credit application today without any obligation to buy. Please feel free to contact us with any questions or concerns you may have about Mastercool AC machines while shopping with us today. Our automotive experts are happy to help!